It's no surprise that many families will not be going away this year for Spring Break. The increasing price of gas and groceries have left many unable to afford a vacation this year. We have not had a vacation for some time now and we are very familiar to the term Staycation. Earlier this week we spent the day exploring the local attractions and only spent $3.11! What made ours cheap was sleeping in way later than normal and eating a late breakfast. We took some snacks and drinks and made it back in time for an early dinner, no lunch for us but we were all good. The $3.11 was spent on all 4 of us treating ourselves to Baskin Robbins ice cream. We had 2 get a scoop free coupons, yay! I know staycation's have become popular for others as well since the economy plunged a few years ago but many still fall into the trap of spending way too much even for a staycation. I know this from firsthand experience and here are my tips on a successful and inexpensive Staycation during your Spring Break. "I feel so bad that we can't take a REAL vacation. It's ok, it's ok I can still make this fun and memorable without spending as much as we would on a big vacation. Let's see, there's the indoor waterpark. He would looove that. It is $45 for all of us BUT it is cheaper than a regular vacation. Oh and Putt, Putt's open now so we should do that oh and we can go to Chuck E Cheese as long as we don't buy food and use coupons on the tokens. Well we do have to eat somewhere so Chili's has Kids eat Free, that sounds like a good idea and...."
Can you all see where this is going? This thought process ends with us taking the kids to do all these fun local things but come to discover we've spent over $300 for one day's worth of fun and we stayed in town, yikes! I'm certainly not saying that any of these things are bad to do but for me our purchases and activities were motivated by guilt and that always just leads to more guilt when you add up the receipts. Why are you having a staycation? Is it because you're saving for something else? Is it because the money simply isn't there, at all? Or is it because, you're trying to whittle your way out of debt and that money has to come out of another area? Well, whatever the reason, make sure you and your family discuss this before you even start the planning process. Including the kids when they're school age (some preschoolers may even be able to comprehend) is a great way to show financial responsibility. It's easier to stay on track when everyone is on the same page. Planning ahead before you head out the door is key to making your staycation fun, low stress, and affordable. -Check out your local visitor's center a week or so before. You can either visit their website or actually go there and grab all the brochures that look interesting (kids looove this part). Ask to be put on their mailing list if they offer it. Sometimes you'll receive some great discounts on local dining and attractions. 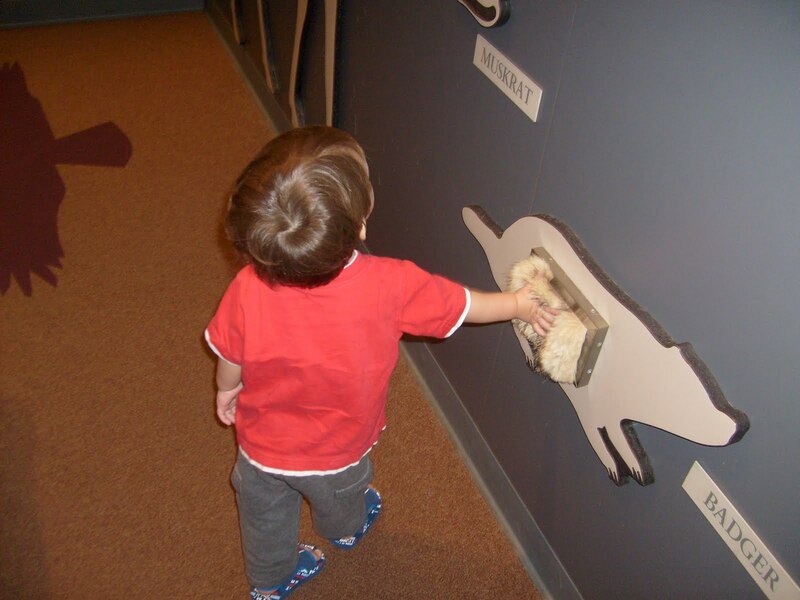 -Take advantage of free admissions and kids activities. Many nature centers, musuems, etc have kids stuff going on during spring break that are free. Some musuems have Kids Get in Free days. Be sure to take advantage and plan accordingly. - Be in the know. Check your local newspaper for local events, or become involved on local online Mom's forums, or simply ask around. Sometimes school office workers are more in the know than anyone. -Make a list of all possible things and places to see and let your family pick. Depending on how many kids you have, and how long your staycation will be, letting each person pick one activity each is a great way to make everyone feel involved. -Map your route. Making an organized list of where to go first, second, etc, based on their operation times and location is a crucial step if you want to save time and gas! Food can be the easiest way to blow your budget if you don't have a plan in place. When tummy's are hungry we act irrationally and don't think of the cost... until LATER! - Plan your staycation between 8-5 so if you do eat out then your getting lunch prices instead of paying the higher dinner prices. -Picnic and take a stocked cooler. Kids love to eat outside so if the weather's nice why not find a park along your route? It will save you a TON of money and will let the kiddos get out some energy. 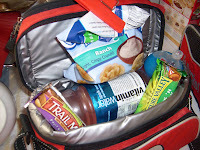 -Pack drinks and snacks. Can't do the picnic thing because of bad weather? Then at least consider packing drinks for the car ride or to have drinks with your lunch from a fast food place. Drinks are the biggest rip off at restaurants in my opinion. - Sign up for customer clubs, and email lists of restaurants along your route. Again, planning is needed and is best to do this a week or so ahead of time. Some restaurants don't send out coupons or specials for a few days after you sign up. I personally make a habit of signing up for anything I can at all the restaurants in our area. When we do want to splurge we rarely, if ever, pay full price. It's easy for us money saving momma's to go overboard and be the checkbook drill sargeant. This makes you crabby and irritable and then no one has fun! This is where setting the limits in step 2 is important. Anticipate the "Mommy, pleeeease can I have it" scenario. You know it's bound to happen even though you set limits you're kids will try it! A way to avoid this may be giving the kids a small amount of spending money or letting them take their allowance. It doesn't have to be a lot, a buck or two with small kids seems to work. The bigger kids are a little harder to please but they usually are a little better at understanding the why behind your set limits. So the older ones don't feel left out, allowing them to do extra chores for spending money, in additon to the buck or two you give the little kids, is great way to let them feel in control. Just because it's a staycation doesn't mean it can't be as treausred a memory as let's say Disney. Take lots of pictures and remind your kids to pick up momentos for the family scrapbook later. Making it feel special will help them to appreciate the family time even more.